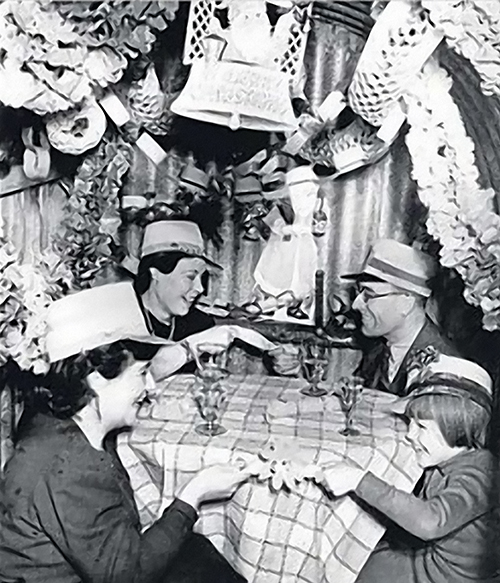 As we all rush about in the final week before Christmas looking for last minute bargains or buying the must have Christmas gifts the kids want, I would ask you to look back with me for a while to Christmas 1940. By the end of 1940, 24,000 civilians had been killed in the Blitz and hundreds of thousands more had been made homeless. In November, German bombers had carried out particularly fierce raids on Liverpool in the days leading up to Christmas. The public were now mourning the loss of their loved ones on the home front and in combat, as well as praying for the 41,000 British soldiers captured on the continent. 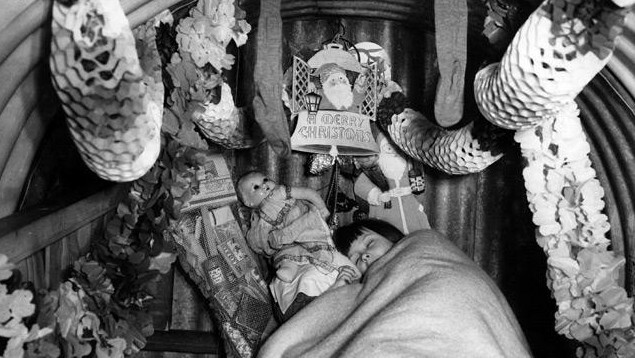 In order to avoid the bombs, many families spent some of the festive period in air-raid shelters and other places of refuge and decked out their temporary homes with makeshift decorations. Very short Christmas trees, if you could afford or get one, were in demand because of the height of the shelters. 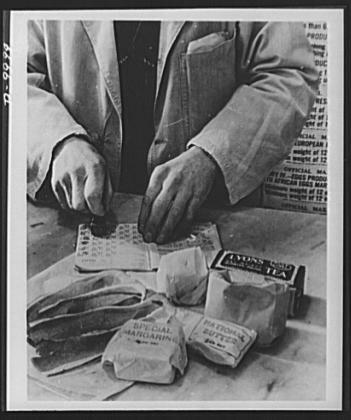 People would scrimp and save rations, including ham, bacon, butter, suet and margarine, but tea and sugar rations were increased in the week before Christmas. Very little fruit was imported and nuts were very costly. Consequently, cooks had to improvise Christmas cakes and puddings devoid of dried fruit and marzipan, using instead sponge or other unlikely ingredients. Alcohol was available but, at extortionate prices. The public were discouraged from giving presents and encouraged to give as much as they could to the war effort. Almost £10 million in war bonds was sold in the week before Christmas. 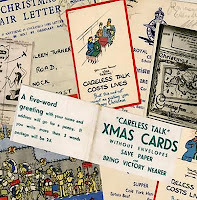 Goods were in any case scarce becoming scarcer as the war wore on but a theme of air-raid-shelter-friendly presents emerged. Flasks and sleeping bags were in demand and even 'gas masks' for dolls. Home-made presents were popular too, as were second-hand ones. 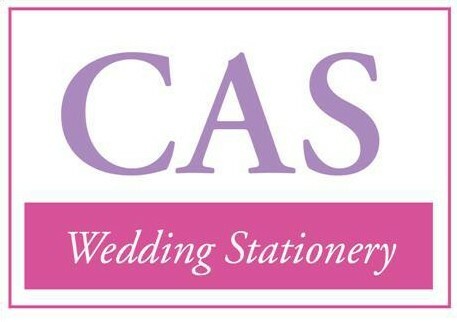 For working-class people 'make do and mend' was the norm. 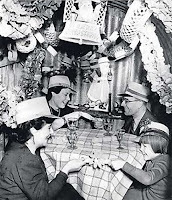 Dads carved sailing ships and dolls' houses, whilst mums knitted with spare bits of wool and made sweets. Children's gifts were also donated from other countries and charities. 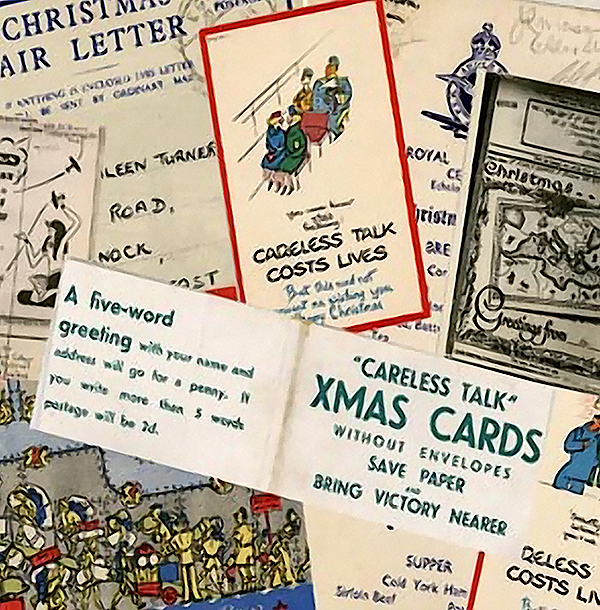 Even Christmas cards contained government propaganda, messages like "careless talk cost's lives" graced the front of cards. Postmen attempted to deliver millions of letters and parcels to streets that had been razed by the bombing, whilst many more civilian men and women were on duty in their roles as ARP wardens, Home Guardsmen, Observers, fire fighters, ambulance drivers and other crucial occupations. Travel was discouraged; not just because of fuel rationing, but to keep the roads and railways free for transporting war goods and returning troops. But despite all of this the ever resourceful people of Liverpool, in most cases, still managed to celebrate Christmas with their loved ones. 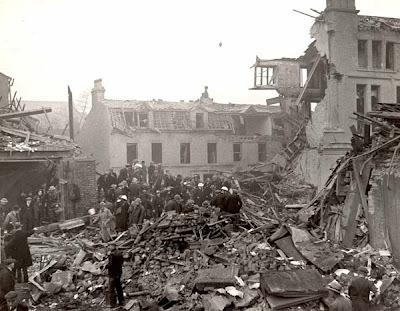 In the meantime terrible damage was being inflicted on the city, its people and its buildings relentless and sustained German bombing raids took their toll and whole families were lost to the bombs of the Luftwaffe. One particularly serious bombing was a raid which caused what is thought to be Liverpool’s single biggest loss of life during World War II – and yet, for years, it remained the city’s most overlooked tragedy. Around 200 people are believed to have been killed when a bomb exploded by a shelter in Blackstock Gardens in Vauxhall on the evening of December 20, 1940. 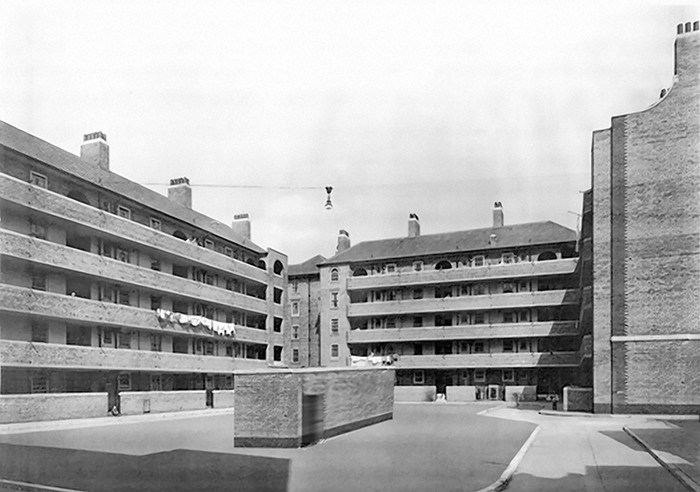 Many families from tenement blocks in the area were virtually wiped out, while the raid also claimed the lives of people who had been on their way home from work. Two packed trams stopped in the area at the time of the bombing to give passengers the chance to go into the shelter. Other notable buildings were destroyed in the raids including the parish church of Our Lady and St Nicholas, ironic when you consider that Saint Nicholas of Myra is the primary inspiration for the Christian figure of Santa Clause. 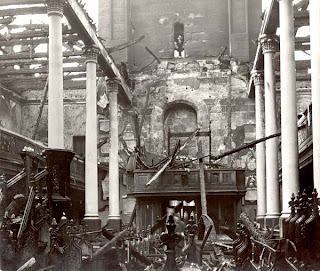 The main body of the church was all but totally destroyed leaving only the tower standing. For many of the men, women and children huddled in the Durning Road shelter in the early hours of November 29, 1940, Christmas was not to be. They were sheltering in the only refuge they could find from the bombs raining down from the skies above Liverpool. But their safe haven was soon to turn into hell on earth. When the sirens first sounded, 300 people from the Edge Lane community huddled in the basement of the old Junior Instruction Centre. But by the time the sun came up the following morning, more than half of them were dead, killed in circumstances so horrific Winston Churchill was moved to call it at the time the “worst civilian incident of the war”. As they waited anxiously for the all-clear, a mine attached to a parachute detonated above the building, the downward pressure of the blast forcing the three-storey college to tumble down upon them. But the horror did not end there. As furnaces burst, boiling water and steam scalded those trapped under the rubble, while fires burned many alive. in 1941 British Prime Minister Winston Churchill visited Liverpool and the surrounding area, he is quoted as saying, "I see the damage done by the enemy attacks, but I also see the spirit of an unconquered people."